Lawrence A. Doria is currently President and CEO of P4 Security Solutions LLC. P4 Security Solutions LLC is a leader in protection services, training and consultation, both domestically and internationally. Larry has over forty years in the security industry. Larry has been in leadership roles providing physical security operations for countless installations and special events. In addition, he has provided executive protection for numerous captains of industry, VIPs and celebrities throughout his esteemed career. Larry also serves as Chairman of the Board and Past President of the Illinois Security Professionals Association (ISPA), a position he has held for over 30 years. Prior to starting P4S, Larry was Chicago Area Vice-President and Vice President of Business Development for Securitas Security Services USA, the leader in integrated guarding services in the United States. Larry's responsibilities included the continued growth and successes of Securitas within the Chicagoland area. Larry is also the former President and CEO of Security Management & Investigations (SMI) and the former President of The Security Professionals, Inc (SPI). For 32 years, he was responsible for the continued growth and success of both SMI and SPI’s multi-million dollar security and investigation operations, administrating to a workforce of 1,200 security officers and over 2,000 off-duty law enforcement officers. Larry has worked tirelessly to raise the standard of the entire security industry. As Chairman of the Board of the Illinois Security Professionals Association, Larry has represented the organization at various state legislative and regulatory advisory meetings affecting the security industry in Illinois. Through Larry's leadership, the Illinois Security Professionals Association has established an effective relationship within the law enforcement community. These alliances brought together public and private agencies, proprietary security and safety directors and governmental bodies to work together to improve safety and security of the public. 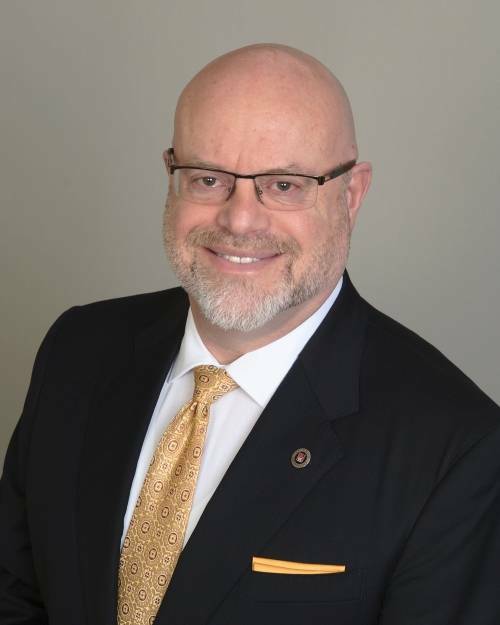 In addition to serving as the Chairman of the Board of the Illinois Security Professionals Association, Larry was an active member of the ASIS Law Enforcement Liaison Council and currently serves on the ASIS Security Services Council. He also was a co-founder and served as the President of the Midwest Security Conference; a co-founder, former vice-president and current advisory board member of the Illinois State Crime Commission; a former chairman of the DuPage County Crime Commission; a contributor to the U.S. Department of Justice Hallcrest Report II; serves on the Illinois Association Chiefs of Police Public/Private Liaison Committee as well as the Chicago BOMA Security/Preparedness Committee. Larry is licensed by the State of Illinois as a Private Security Contractor and a Private Detective.